I seldom get sick and I have a couple of health tips to share. I believed it has something to do with my garden. First tip to avoid sore throat and flu, is to chew basil leaves. I chew a couple of basil leaves every day. I plated lots of basil in my garden. I tell you, it is better than any sore throat candy you can find in the store. Second tip is to eat mulberry. Yeap a good friend gave us some mulberry cuttings to plant. Now the mulberry tree cannot stop bearing fruits. 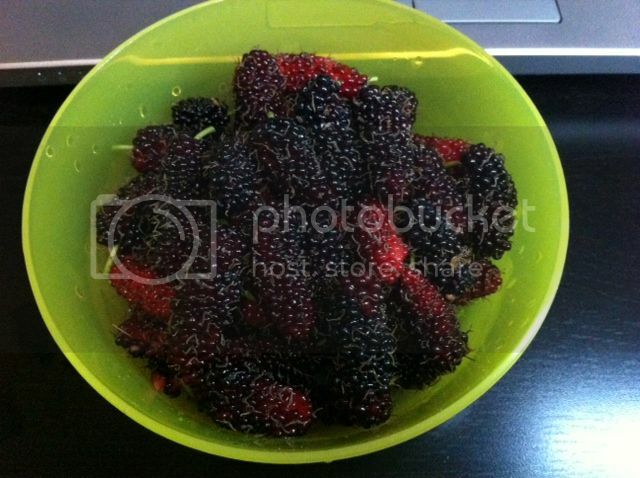 Mulberries have lots of vitamin C and anti-oxidants. I heard it can prevent stroke too. Lastly is drink more water and do exercise. I usually exercise when I work in the garden. It involved pruning plants, weeding and plant more herbs. Great way to make the environment better!